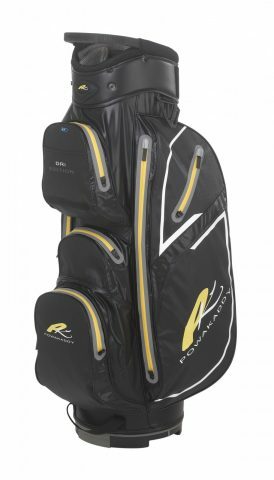 PowaKaddy has launched a new cart bag range that features colour updates to its Premium, Deluxe and Lite Edition models, as well as an all-new waterproof Dri-Edition bag. The new Premium Edition (£179.99) retains all the features from the previous model, including 14 full-length dividers, seven storage pockets and a PowaKaddy E-Zee Lift Handle, but boasts four new colour options: Black/Gunmetal/Yellow, Gunmetal/Black/Silver, Black/Gunmetal/Red and Black/Gunmetal/Blue. 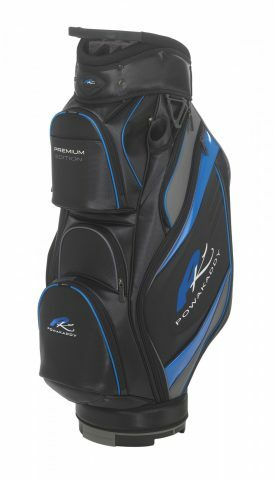 The Deluxe bag (£149.99) is made from a nylon, polyester and vinyl construction and offers golfers a sleek option to combine with a trolley. Offering 14 full-length dividers and seven storage pockets is available in Gunmetal/Black/Silver, Black/Gunmetal/Yellow and Black/Gunmetal/Red colour combinations. 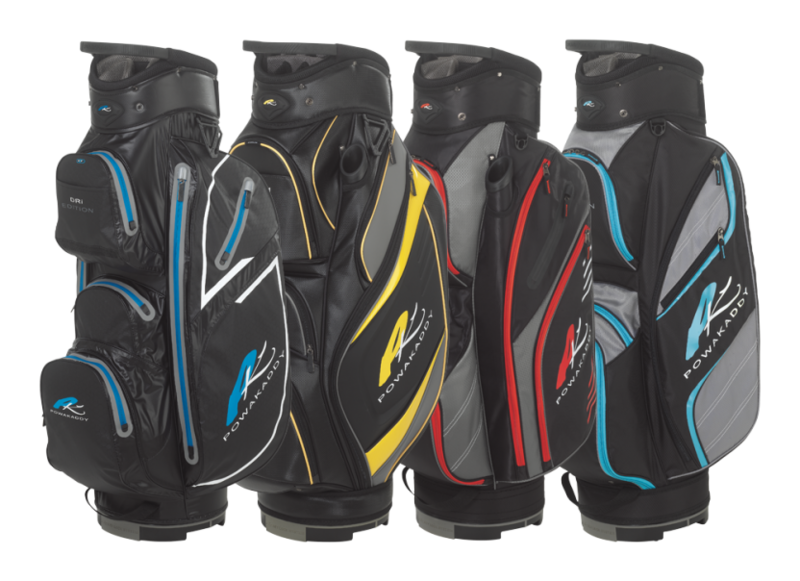 The Lite Edition (£199.99) cart bag is offered three new colours: Black/Gunmetal/Yellow, Black/Gunmetal/Aqua, and Gunmetal/Black/Silver. The perfect lightweight option, it also incorporates 14 full-length dividers, seven storage pockets and the E-Zee Lift Handle. The new Dri-Edition (£229.99) boasts a hydrostatic-rated fabric of over 10,000mm, which is four times the performance of most waterproof bags found on the market. Using a super-lightweight nylon fabric, as well as superior seam-sealing methods and a special coating, it is the perfect bag for the ever-changing British weather conditions. It is available in five colour options. “We’re really excited about our new cart bag range for 2018, which is undoubtedly the best we’ve ever produced,” said PowaKaddy marketing manager Mei Tierney. “The entire line has benefitted from a tremendous amount of work undertaken by our R&D team, which has looked at trends in different industries across the world to deliver a truly stunning new look. For more information visit www.powakaddy.com.